16 April 2018 by Cameron A. Are you looking for a flexible job? We have positions available Nationwide! MilitaryTownAdvisor.com is a PCS resource created by a military spouse in 2012 after her own tough PCS. It's a website where military families can leave reviews about where to live, recommended real estate agents, things to do, and local businesses. The website can be used to research your next military town before, during, and after your PCS. The goal is to pay it forward and help each other out! We also offer an incentive program to thank everyone for taking the time to leave reviews. MilitaryTownAdvisor.com is the largest military review website with over 5,000 reviews and growing! 1. Local Expert for Military Town Advisor - Local Experts are military spouses who want to share their knowledge about different military towns they have been stationed at. This position is an at home flexible position. 2. 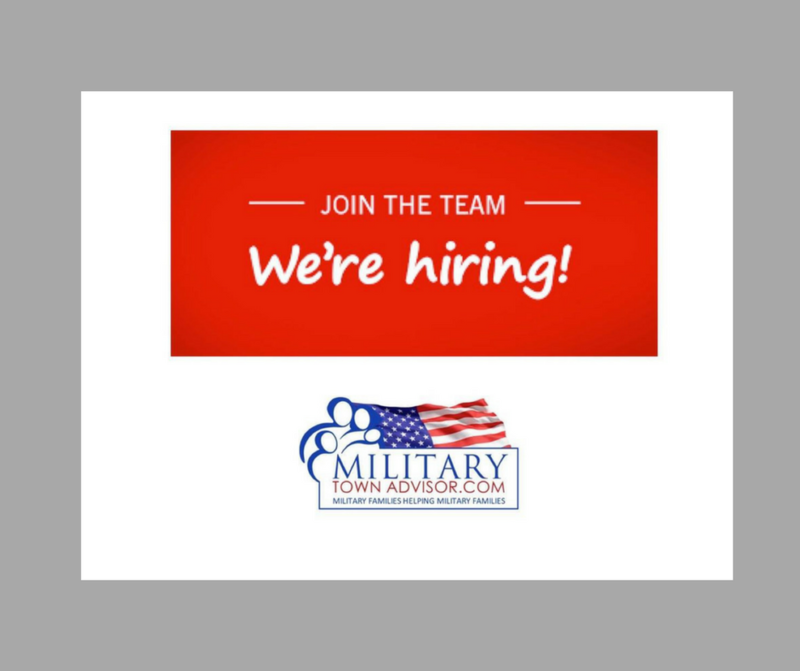 Sales Rep for Military Town Advisor - Sales Reps are willing to go out and call on local businesses. This position requires the sales reps to drive to local businesses and talk with business owners. 1. Local Experts for Military Town Advisor will be compensated by leaving reviews which earns points and each point equals a cash amount. 2. Sales Reps for Military Town Advisor will be compensated on a commission basis. 3. Independent Consultant for Scout & Cellar are compensated on a commission bases plus wine credits. Expected to leave reviews from their own personal experience and share social media posts.